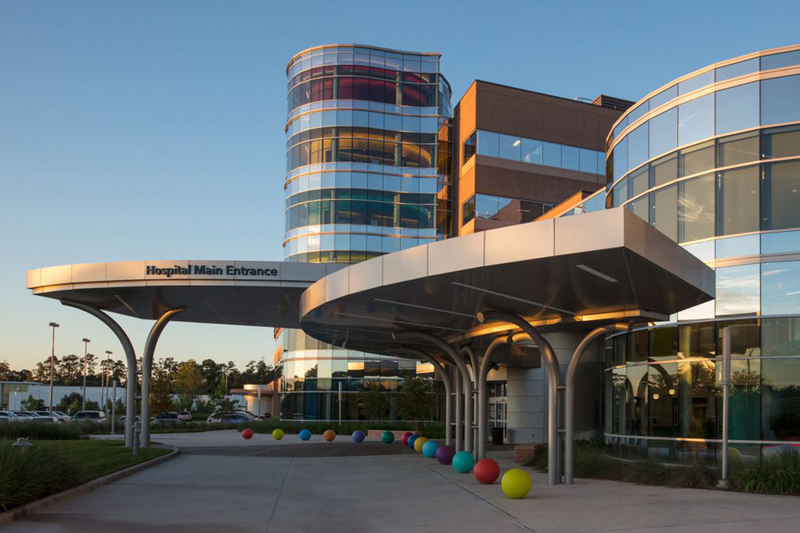 When FKP Architects set out to design the award-winning Texas Children’s Hospital’s newest facility in the Woodlands, they looked to the surrounding landscape for inspiration. Located in a heavily wooded neighborhood north of Houston, the Woodlands is known for its gorgeous, verdant views. Architects sought to capture the spirit of the woods and incorporate it into the design of the new medical facility. The entrance of the hospital features a charming 22-foot-tall leaf-shaped canopy. Due to its gargantuan size, architects used ALPOLIC aluminum composite material to satisfy the need for a material that could be easily shaped to look like a series of curved leaves. When constructing a building that will not only be heavily used, but will also be under high exposure to UV radiation, water, and salt, it is crucial to invest in a high performance coating system. 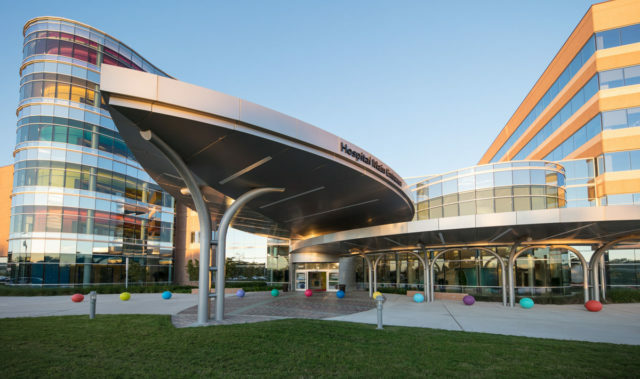 To prevent coating degradation, the ALPOLIC panels that were used for the hospital’s unique canopy received an FEVE-based coating system. Architectural surfaces that employ Lumiflon FEVE resin technology benefit from superior color and gloss retention, weatherability, and durability. This allows coatings to maintain their pristine condition for much longer, which eliminates the need to recoat; thus, the life cycle costs of a Lumiflon fortified coating system is astronomically cheaper than other coating systems.